It was gadget Thursday in the Bohlson kitchen tonight. I Decided to break out and dust of the fabulous panini griddle my creative and great gift giver Mother gave to us for Christmas to make some melty pressed panini’s. 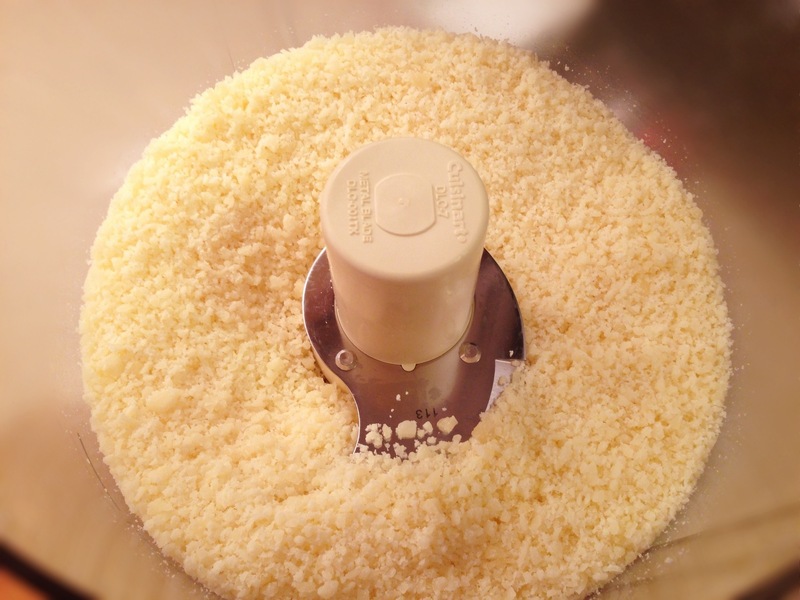 I also got to use our food processor again this week and I am really starting to love this thing. 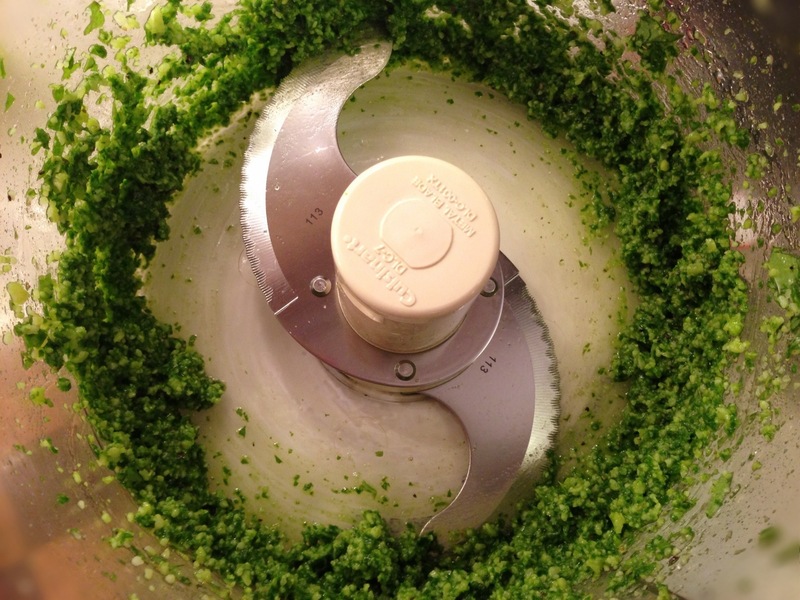 I grated fresh parmesan and made fresh/low cal pesto with very little effort. No cans or jars here! This pesto recipe cuts so many calories and fat by omitting pine nuts, Mike and I couldn’t even taste the difference. 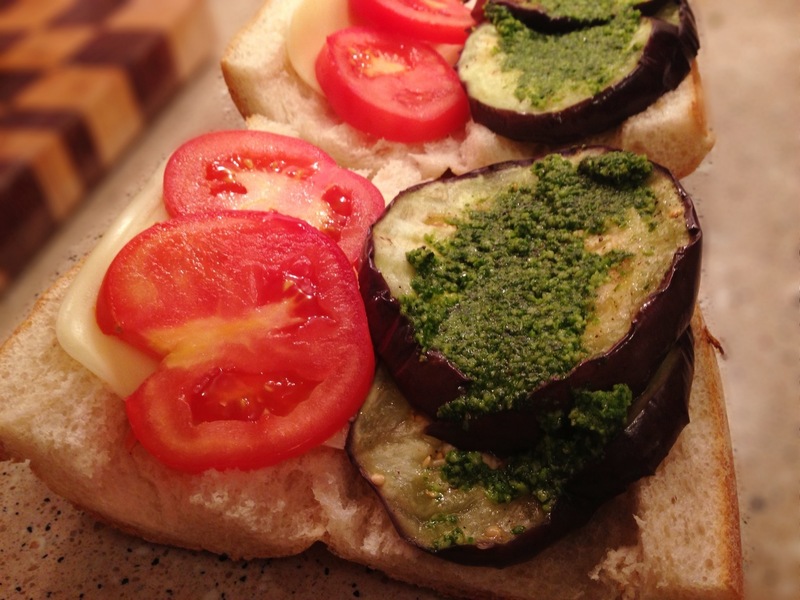 This is also a great pesto recipe for individuals with nut allergies. The star players of the evening. 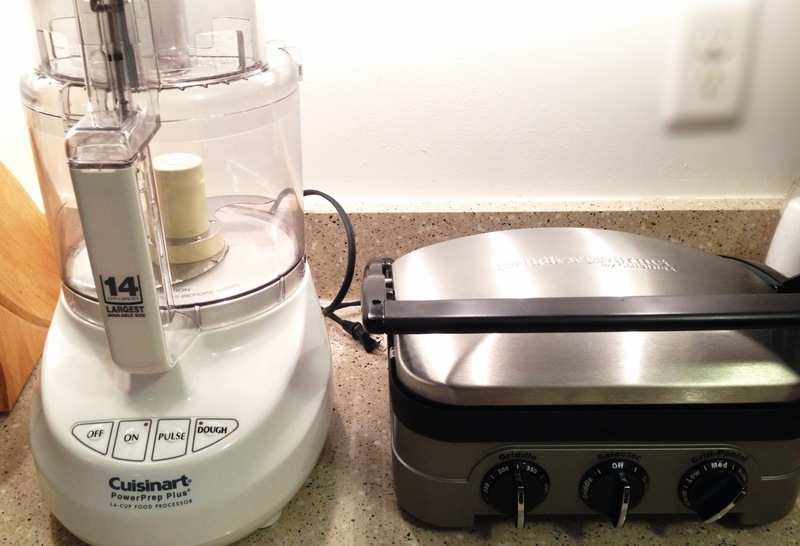 My beautiful Cuisinart Food Processor and Cuisinart Panini Griddle. 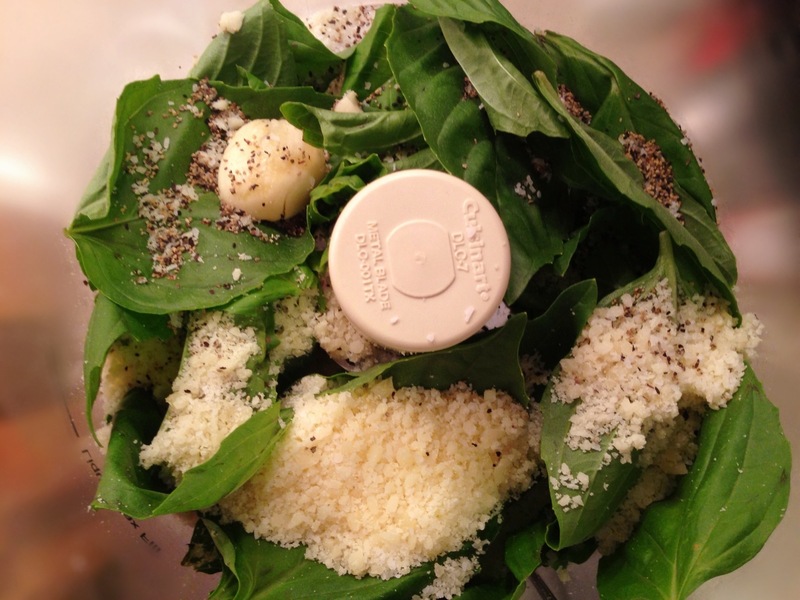 2) Pulse together basil, parm, garlic, salt and pepper to taste in food processor or blender. 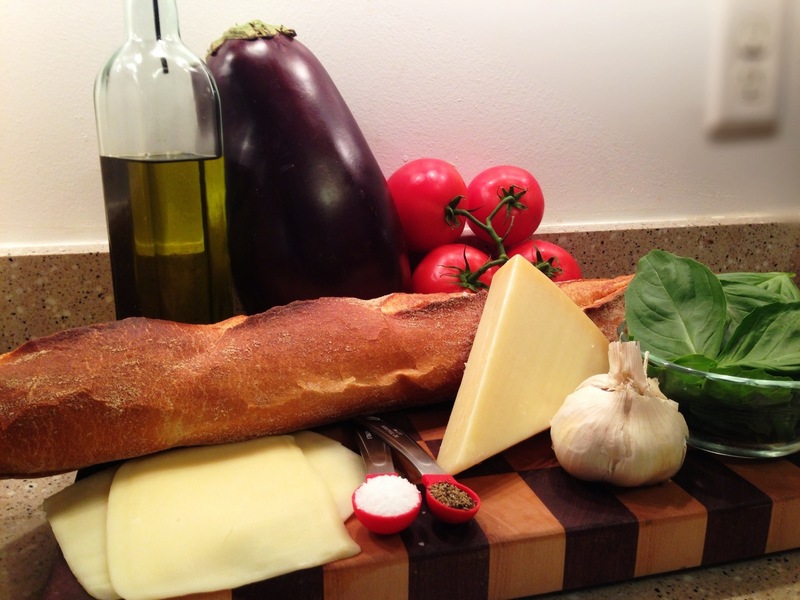 As you pulse ingredients together, slowly add olive oil. Blend till smooth and creamy. Place aside. 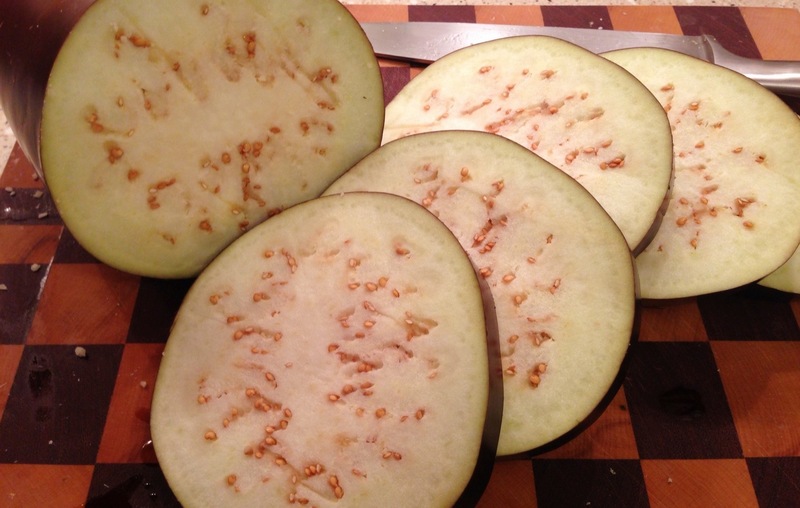 3) Slice eggplant in 1/4 inch slices. I think mine were slightly larger than 1/4 inch. Sprinkle with salt and lay on paper towel. Set aside for 30 minutes to sweat. 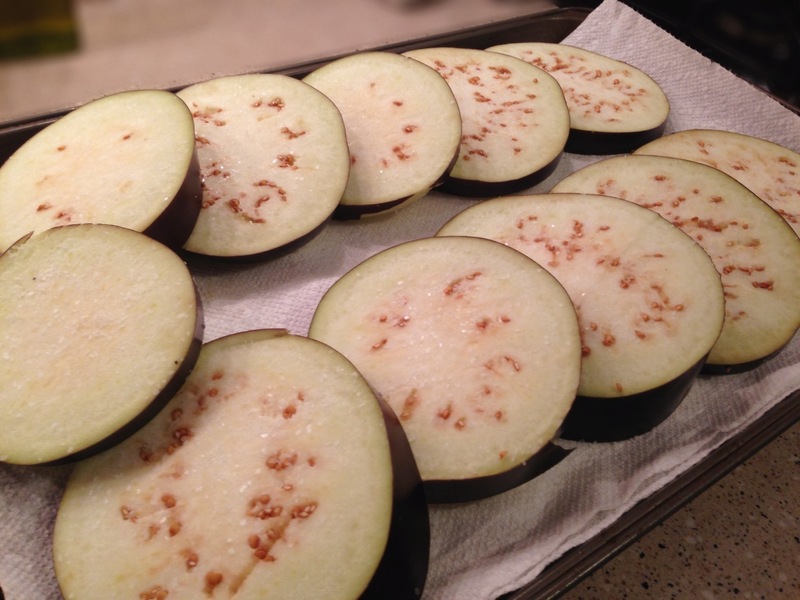 Pat eggplant dry after 30 minutes. 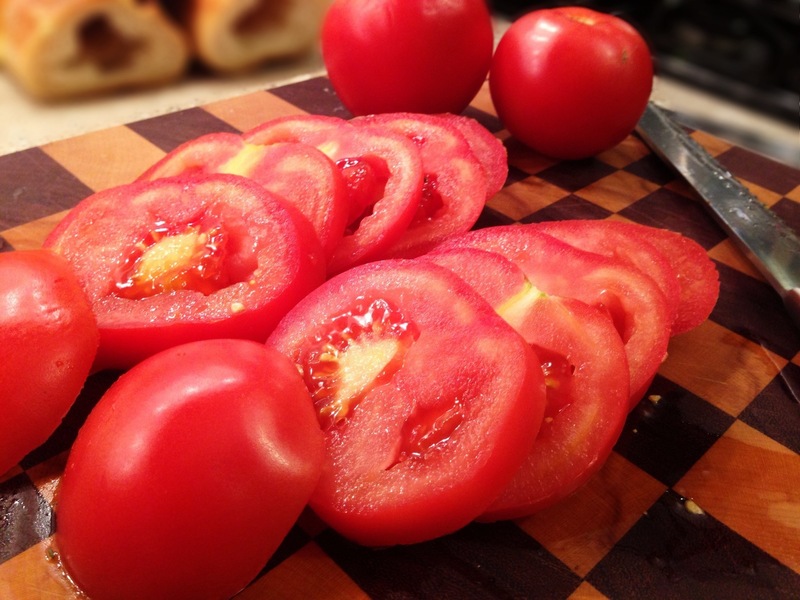 5)Slice tomatoes into thin slices. Preheat griddle. 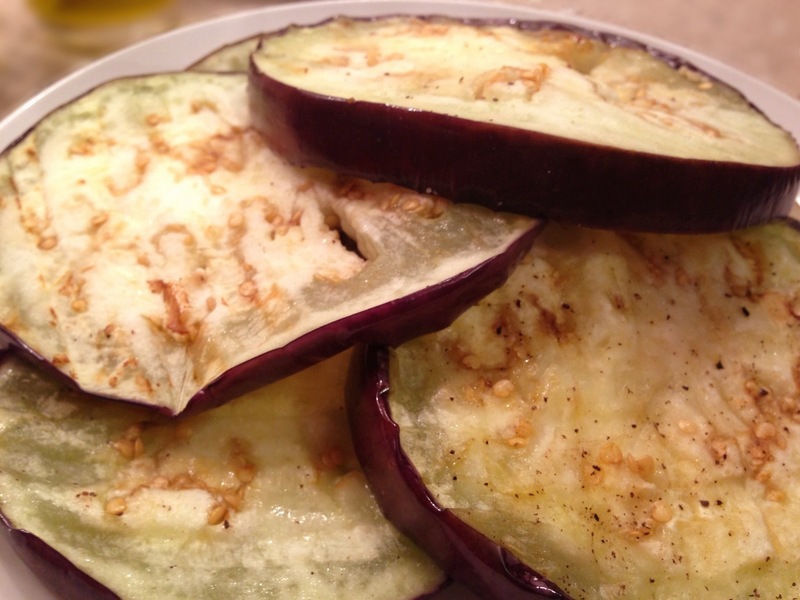 Grill eggplant. 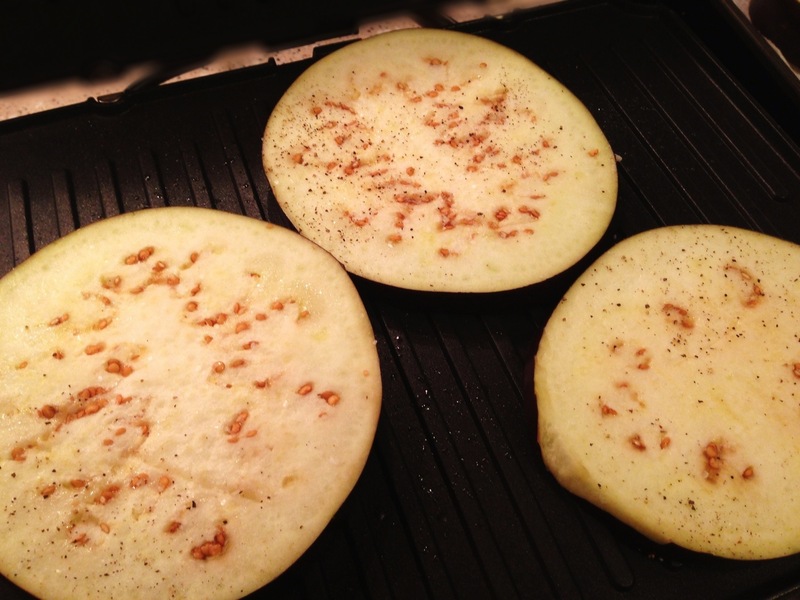 I grilled my eggplant on the griddle. Next time I might use the grill. 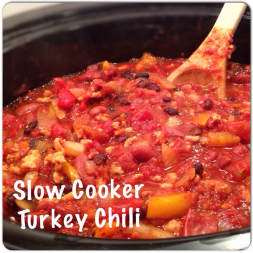 Approx 7-8 minutes, flip half way through. I ended up just closing the cover to the griddle and they did not really need to be flipped. 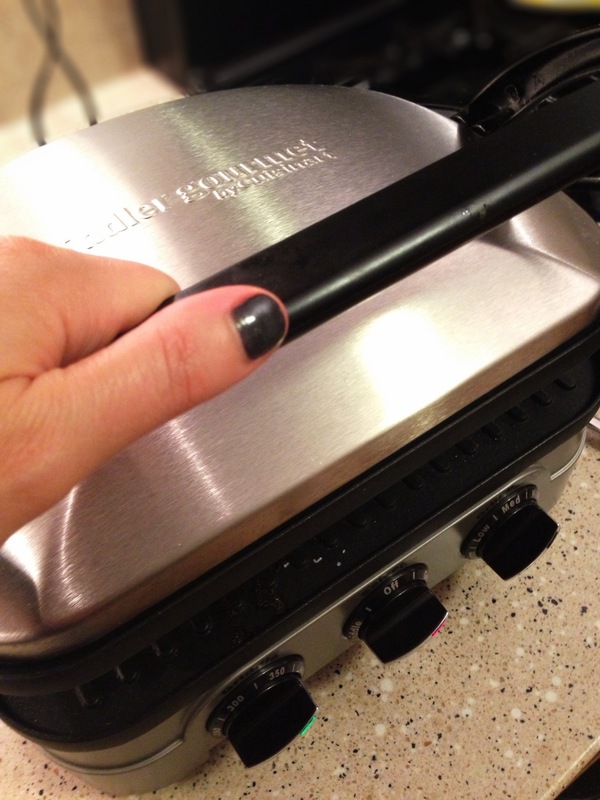 6) If you don’t have a panini press you can make panini’s in a nonstick pan on the stove top. 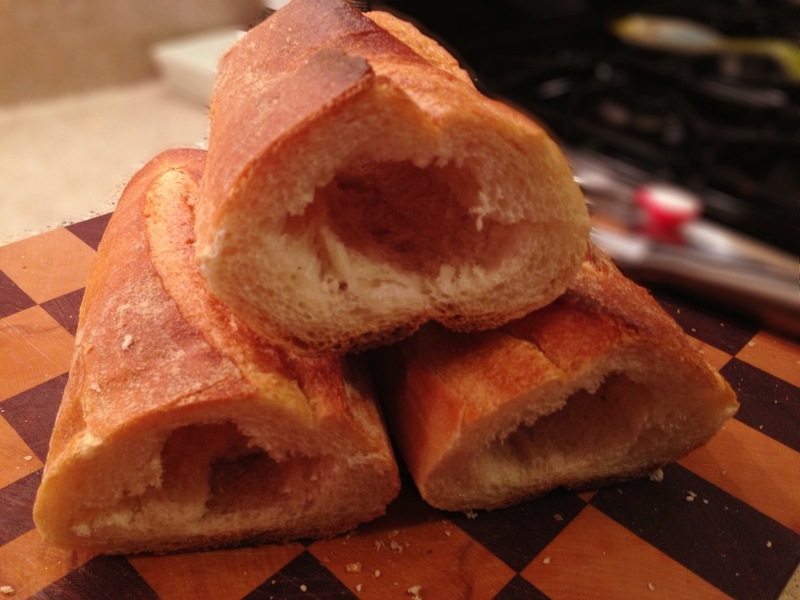 It’s the same as making grilled cheese, easy peasy! 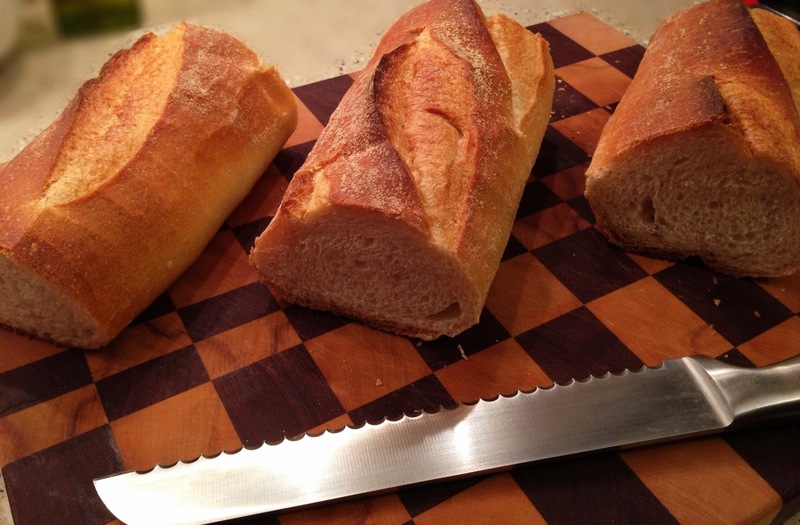 7) Assemble your sandwiches. 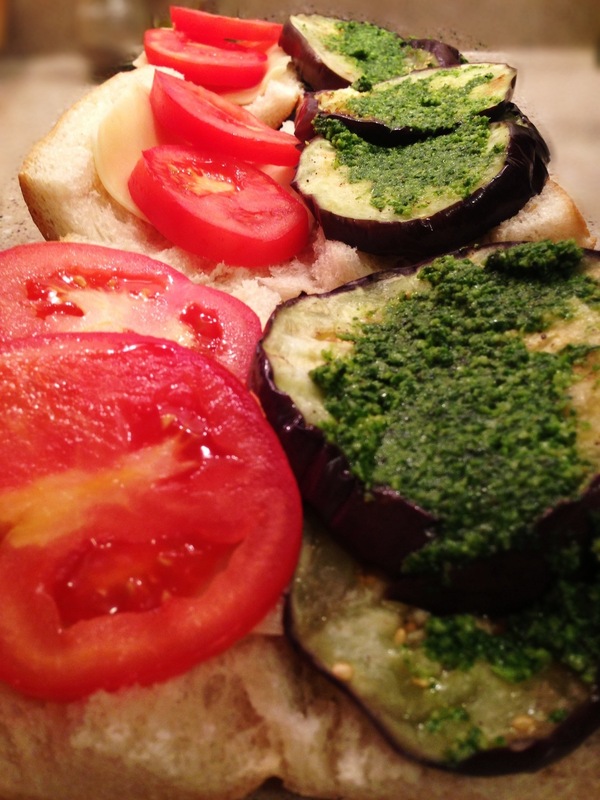 Layer 2-3 slices of eggplant on one side and top with 1/2 tbsp of pesto. On the other side of sandwich place 1 piece of mozzarella chesse and 2 tomatoes. 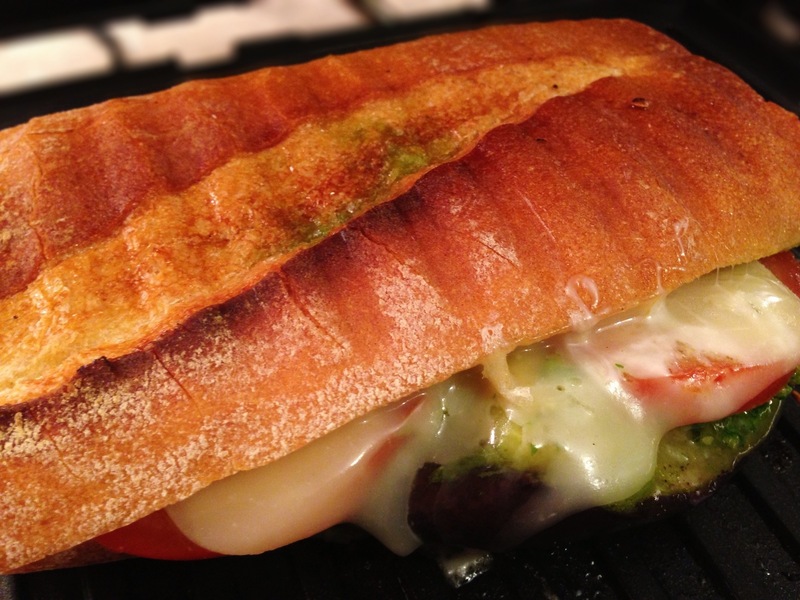 8) Spritz olive oil on top and bottom of sandwich and press on griddle till cheese is melty and hot. 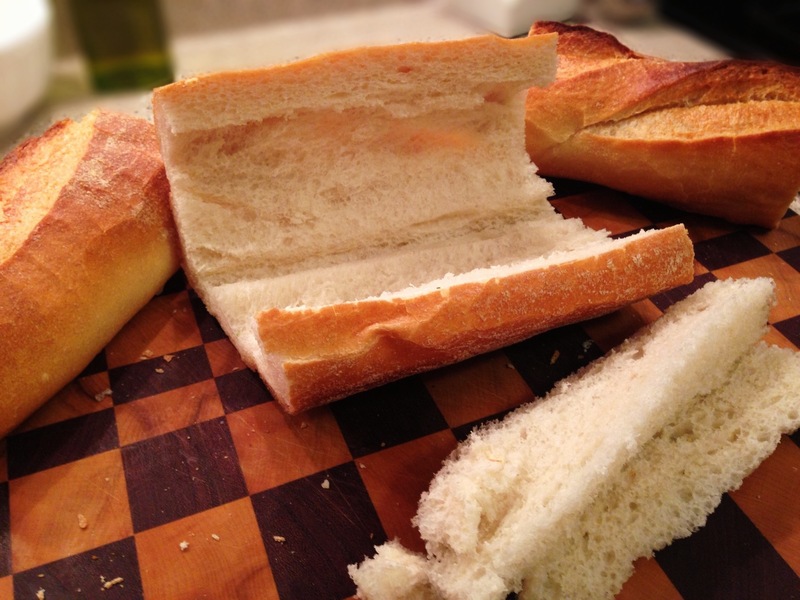 9) Slice in half and serve warm. Enjoy! 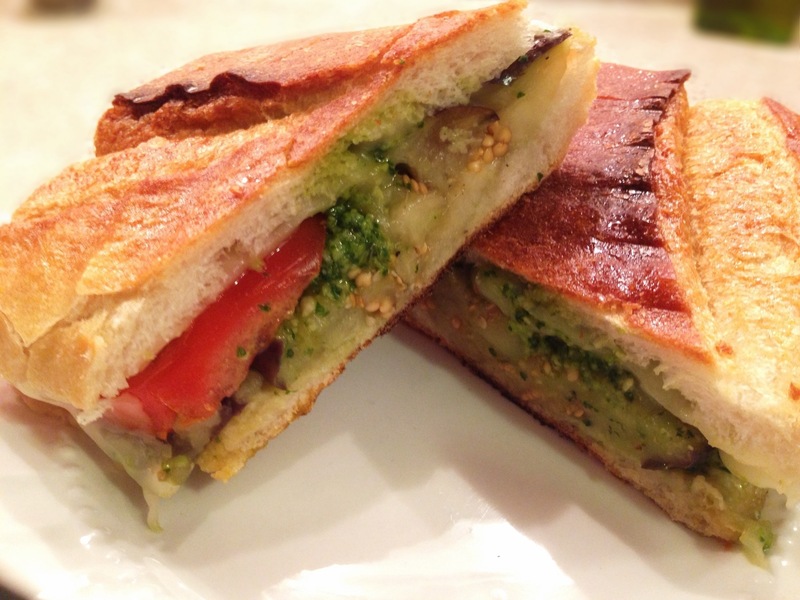 Eat Fit Not Fat- Pressed Eggplant and Pesto Panini- Approx 350 calories, 9 grams of fat. 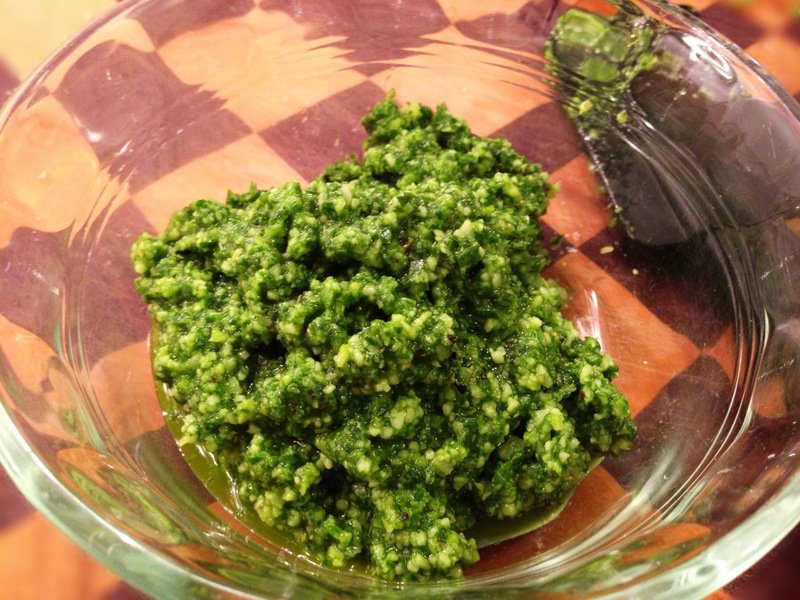 Pesto that was used on sandwich 86 calories, 8 grams of fat per tbsp. 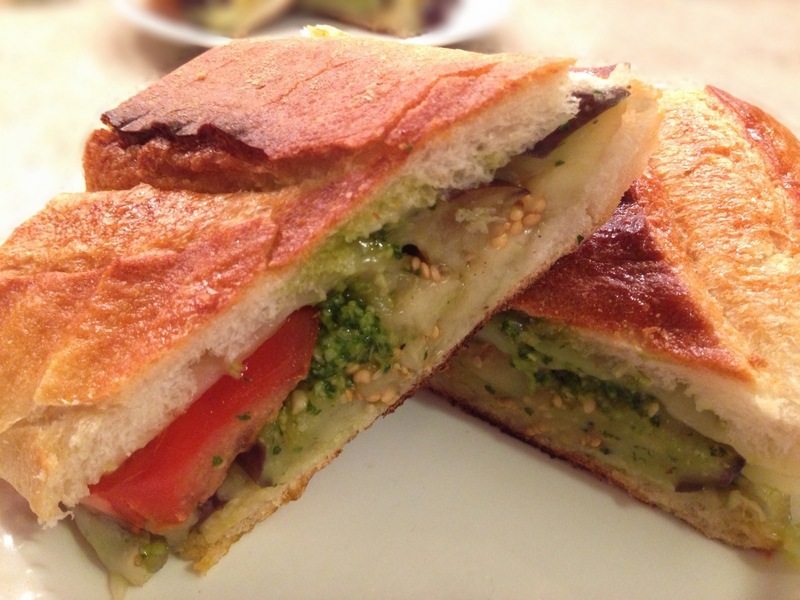 I love the pesto recipe! 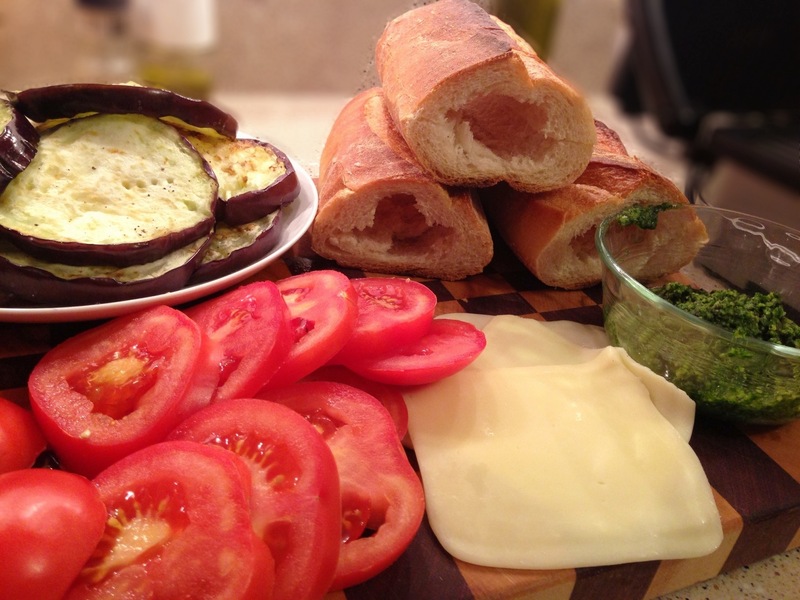 My dad has a nut allergy, so that would be perfect for him and I to enjoy these panini or some caprese sandwiches! 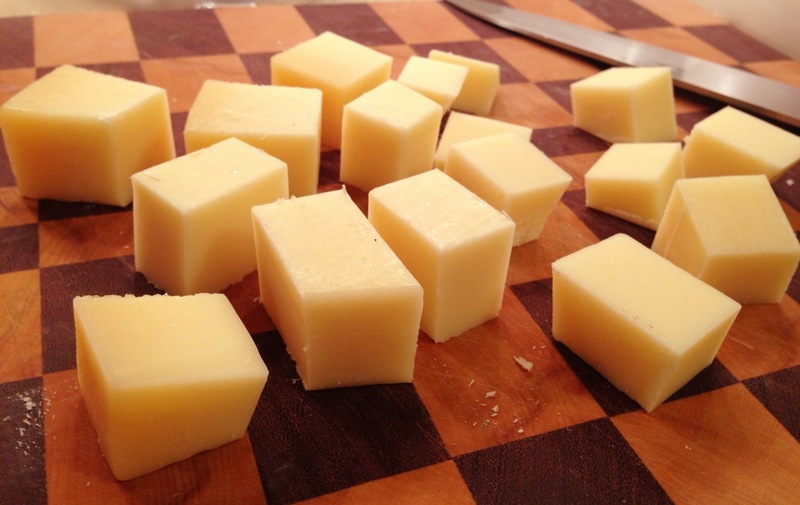 And grating your own parmesan! It looks so much better than the Kraft canister version!